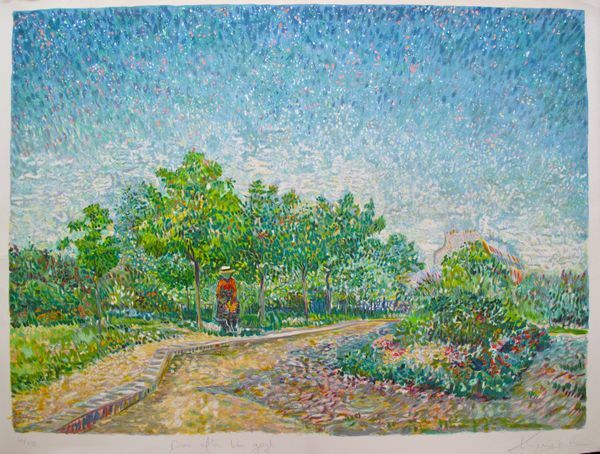 This is a First edition lithograph done after Van Gogh titled “Corner in Voyer D’Argenson Park at Asnieres”. 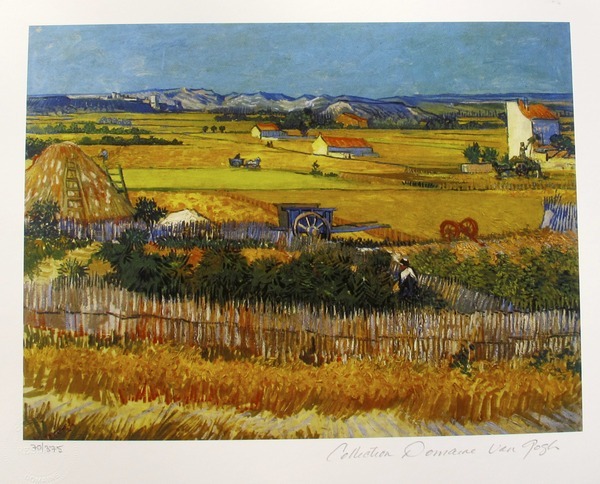 This is a VINCENT VAN GOGH (ESTATE COLLECTION DOMAINE) small giclee titled “Harvest Landscape in Arles”. 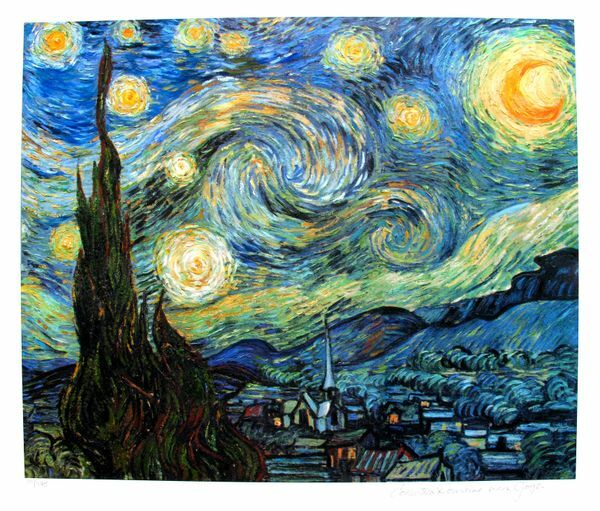 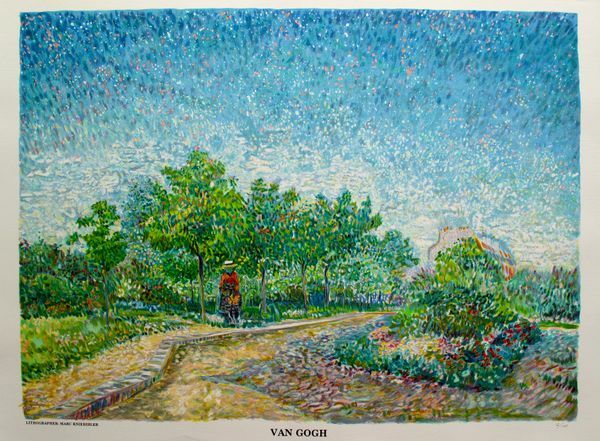 This is a VINCENT VAN GOGH (ESTATE COLLECTION DOMAINE) giclee titled “STARRY NIGHT”. 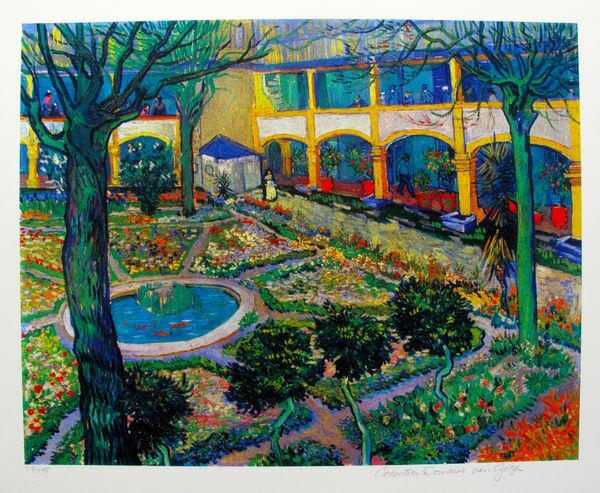 This is a VINCENT VAN GOGH (ESTATE COLLECTION DOMAINE) giclee titled “THE COURTYARD OF THE HOSPITAL AT ARLES”. 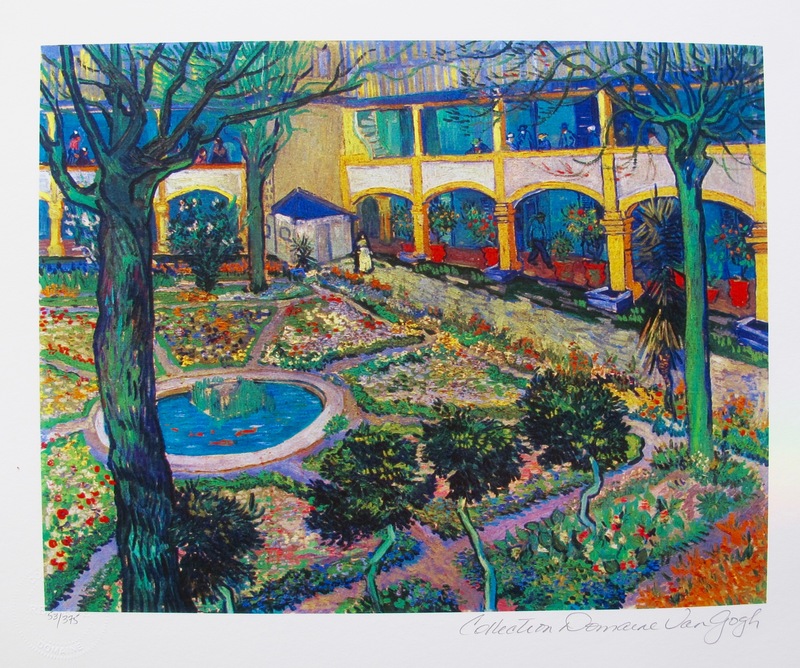 This is a Vincent Van Gogh lithograph titled “LA MOUSME”. 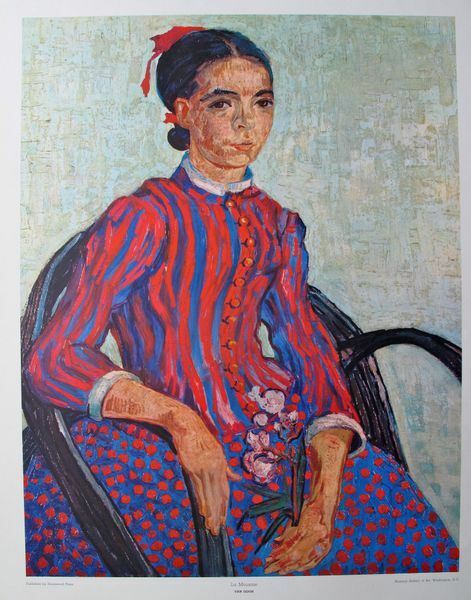 This is a VINCENT VAN GOGH (ESTATE COLLECTION DOMAINE) giclee titled “SELF PORTRAIT WITH BANDAGED EAR”. 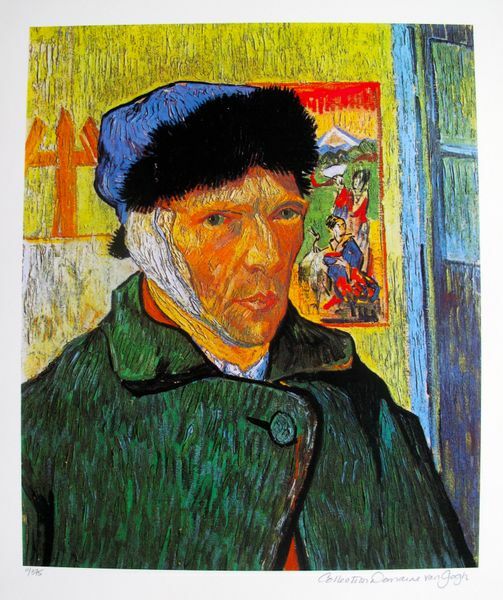 This is a VINCENT VAN GOGH (ESTATE COLLECTION DOMAINE) small giclee titled “SELF PORTRAIT WITH BANDAGED EAR”. 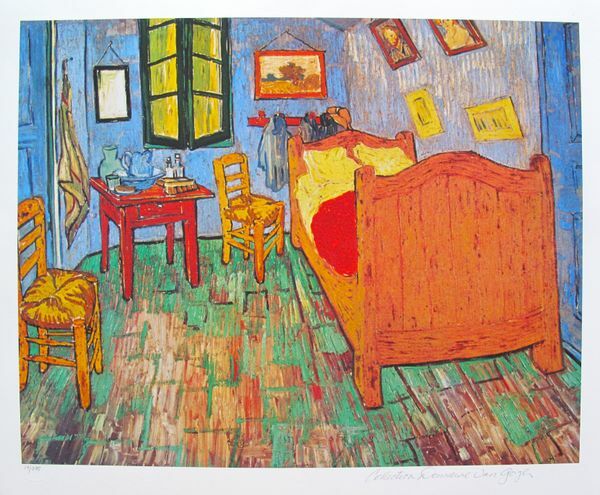 This is a VINCENT VAN GOGH (ESTATE COLLECTION DOMAINE) giclee titled “THE BEDROOM”. 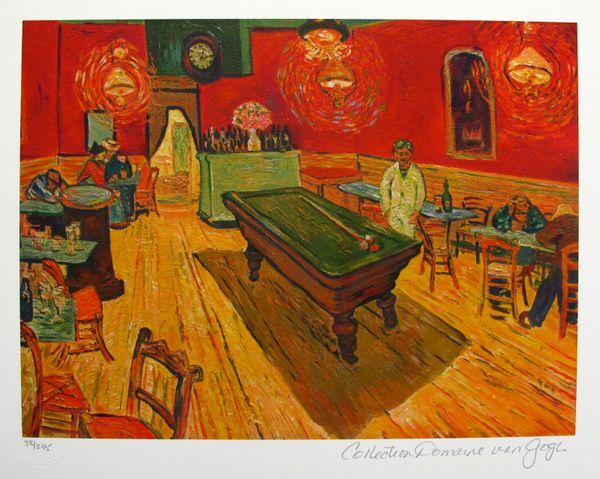 This is a VINCENT VAN GOGH (ESTATE COLLECTION DOMAINE) giclee titled “The Night Cafe, Billiard Room”.